It’s National Op Shop Week! 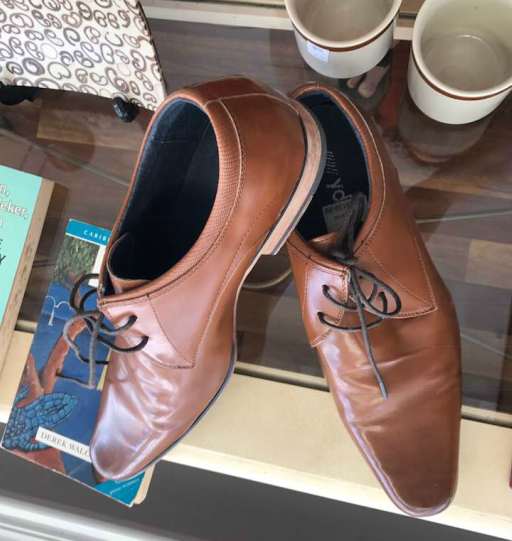 Not that I need a special week to go op shopping, but it is a good week for me to share with you my top tips for op shop trips. I have always loved to op shop. Even when I was a teenager, I would ferret through the local thrift shop to find funky things to wear. It’s in the blood though as my Dad is a lover of bargains and many childhood car trips involved making detours to random garage sales and second-hand shops! My mum volunteers at op shops so she is a great supporter of them as well. 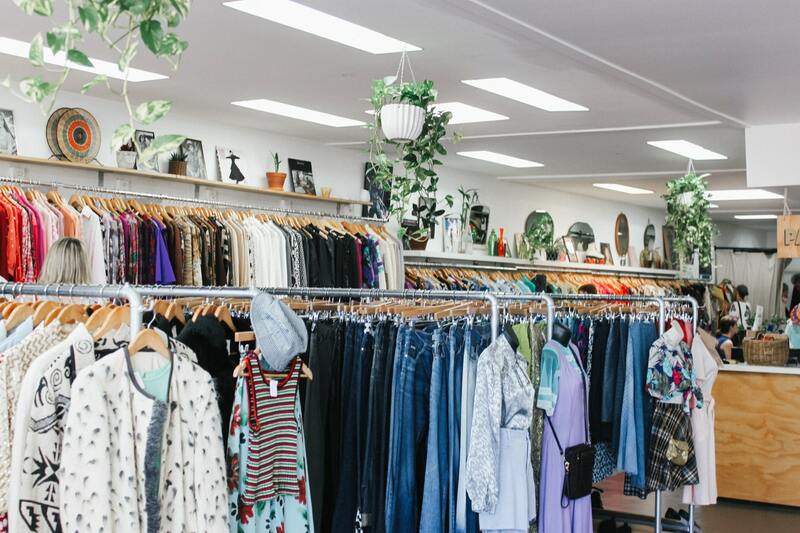 Why would you shop at an op shop? Why wouldn’t you? As well as being a frugal way to shop, you are helping charities and helping the environment. It makes sense to buy something second-hand and reuse it, reimagine it or upcycle it to something new. Op shopping keeps stuff out of landfill and reduces pollution. It’s also a great way to be unique and show your personality. But of course buying things second-hand isn’t always as easy as shopping at department stores, so here are some of my top tips. ♥ Keep visiting. New things come in all the time so keep checking back to see what’s new. Apparently mid-week is a good time for the weekend donations to show up in store! ♥ Give things a good wash. They are second-hand after all and you just don’t know where they have come from. You might even like to use a drop or two of tea tree oil to kill any bugs (particularly shoes!!) And yes, some op shops have that weird op shop smell that you probably want to get rid of! ♥ On holidays or across town? I always try to schedule a little time for some op shopping in a new location. I just search for them on Google or you can look them up at Op Shop or on one of my favourite blogs, I Love to Op Shop. Obviously op shops need a cheaper rent, so you will find them in some odd out of the way places sometimes. ♥ Have a good look. The bargains won’t jump out at you! Spend some time looking through the racks. Look in different sections too. I once saw a pair of Sass and Bide women’s jeans for $10 in the men’s section. If only they were in my size! I’ve also seen a lot of women’s clothes mistakenly placed in the kid’s section. My best bargain so far. A Chassuer French Oven for $15 instead of $250! ♥ Make friends with the staff. They might even put aside things for you or let you know of anything new that comes in. ♥ Think outside the box! Many things you find in the op shop can have alternative uses. A funky teapot can become a pot plant, an old cabinet can become a toy kitchen, a tea cup can become a candle holder, you can restring beads or cut things up for craft. ♥ Take your phone. This will come in handy if you want to check the going price for antique or retro items to make sure you don’t pay too much. I also use my phone to take photos and send texts to my kids asking if they want me to grab the amazing thing I have found for them! ♥ Add some elbow grease. Many pieces donated at the op shop are terrific quality for tiny prices. They may just need a good clean or polish, a new coat of paint or clothing may need some adjustments to make them perfect for your use. You never know what treasures you will find – that’s half the fun! ♥ Never buy another new men’s business shirt. Seriously, one of the most consistent and best things we have found at op shops is men’s business shirts. My husband has to wear them for work and we always find the most incredible quality and fabulous brands in perfect condition for under $10. This comes in handy when he tends to get things stained! It’s so cheap to replace them. ♥ Don’t buy stuff just because it’s a bargain. If you have no use for it or it’s not getting you excited, leave it on the shelf. You don’t want to end up with clutter! Don’t forget though you can always donate back to the op shop, pass on to friends and family or on-sell if something is not getting used or not quite right. Disclaimer: If it’s a really, really amazing bargain, see my next tip. ♥ Know your stuff. 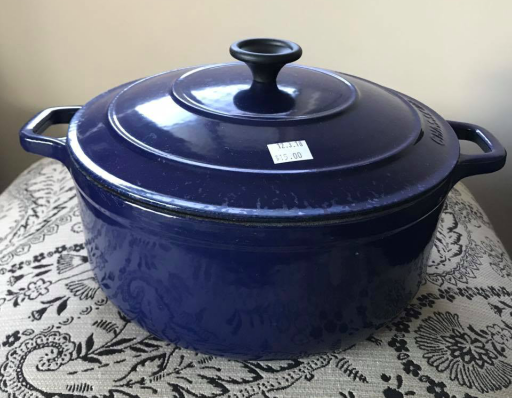 Having worked in a kitchen store, I can spot a quality piece of cookware. My kids are better at designer clothes and shoe brands. I just can’t leave a $100 Baccarat frypan selling for $6 behind! Items like this that I won’t use myself but are amazing quality are going away in the cupboard for my kids when they move out of home. Yep, I am bringing back the old-fashioned glory box!! ♥ Don’t hesitate. Ifou do see something you love, that’s just calling your name, grab it on the day. I have been disappointed many a time when I have a think about something and go back and it’s been snapped up. You can get quality designer clothes and shoes at a fraction of retail prices. ♥ Check everything. Sometimes the staff will miss chips and cracks or stains on clothing. Give everything a good check before you buy. ♥ Kids’ stuff is awesome. Kids grow out of things so quickly – whether it’s toys or clothes, they seem to be onto the next thing quicker than you can blink. I have always found kids’ denim from the op shop to be a winner – it’s hard-wearing and you can always find something. Books, DVDs and toys are usually priced very cheaply so it’s a really frugal way to keep the kids entertained. And kids are not fussy about newness either! ♥ Pick up party supplies. Seriously the best place ever for parties! Grab plates, glasses, cutlery, serving platters, candles, tablecloths, linen, decorations and more for similar prices you would pay for disposable products. If you don’t need it all after the party, donate back or store away for future parties. Get crafty and cut things up for decorations – old books can make paper mobiles and old sheets can become bunting. I decorated the table for my mum’s birthday party with doilies and old silver platters with candles. It looked so good. An all blue op shop day. ♥ Sometimes suburbs count. If you are looking for designer gear, sometimes you will have more luck in the more expensive or affluent suburbs. However the price may reflect this too! ♥ Colour coded. A lot of op shops will have clothes displayed by colours so if you need a new top, you can quickly find the colour you need. ♥ Find your favourites. Op shops can be so different in terms of products and pricing. Some are outrageously priced and others are much more sensible. Keep looking till you find your favourite. ♥ Haggle. I have never thought of doing this, but if you are buying a higher priced item (like the amazing tea trolley below) you might want to ask what their best price is. Thanks for the tip Susan! 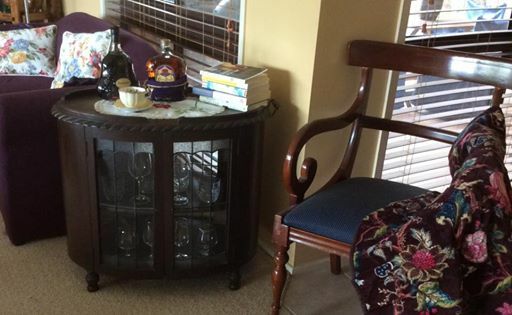 My friend Susan found this 1920’s tea trolley at her local op shop. How stunning! ♥ Facebook your local. Seriously! Many op shops are now on Facebook so like their page and stay in the loop for specials. Quite often there will be awesome sales like 50% off all books or fill a bag for $5. ♥ Make it fun. Take your friends or your kids! 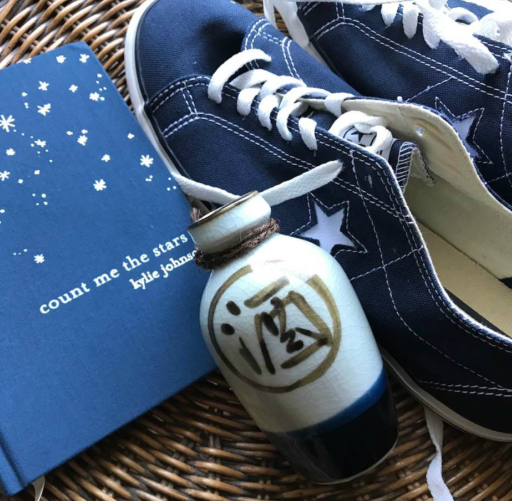 My teenagers are a bit picky about what they wear but they see the value in those designer labels at a fraction of the price and have scored themselves some really great things. 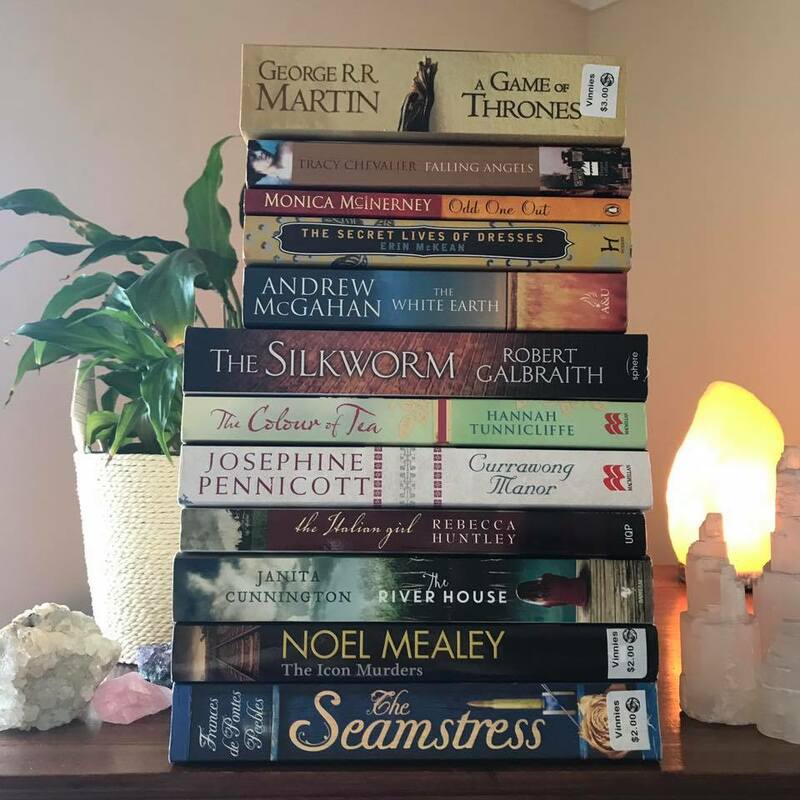 Just some of my op shop books. I rarely pay more than $5 for a book and most are around $2. ♥ Books, books and more books. If you are a reader, you won’t find a cheaper place to buy books. I buy fiction books and then pass on to friends and family. But the best deal is the non-fiction books that I keep as reference books. I have amassed quite a little library of self-help, motivational, new age and health books. 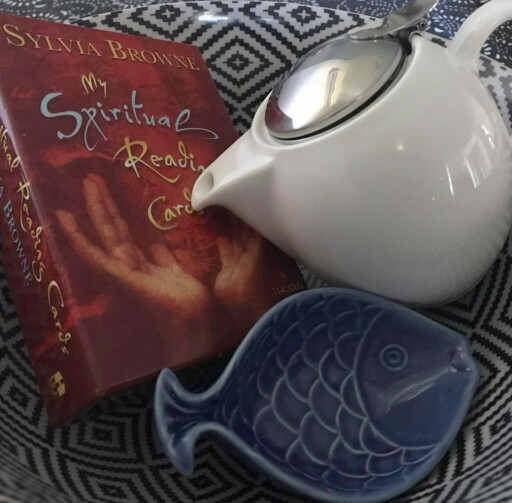 ♥ Consider the op shop for gifts. Now you do have to choose your audience here, but personally I love an op shop gift and quite often I will find cute things I know a friend will love. You can also make things like vintage tea cup candles. Vintage sounds so much more chic than op shop bargain! ♥ Manifest. You knew I would sneak a bit of woo in didn’t you?? Yep, manifesting totally works. Hold in your mind what you are after and leave the rest up to the universe. It might not happen straight away, but it usually happens. I manifested myself a pair of brand new black leather boots for just $15 and that amazing French Oven. Woohoo! ♥ Give back. Never dump stuff you don’t want anymore. Take it to the op shop so someone else can benefit. Make sure it’s clean and in good condition or it will cost the charity time and money to dispose of it. Never leave your donation outside the shop – always pop it into the shop or in the donation bin. I love the thrill of an op shop bargain. I don’t think that feeling ever wanes! My latest finds from the op shops get posted on Instagram, so check me out over there. I would love to hear about your amazing op shop finds and your tips. Let me know in the comments or upload some photos to my social media for us to check out. Still to this day, although I have purchased hundreds of items, my favourite thing is an old school butter holder. I spent years trying to find an old one that I liked and that would be big enough to fit my westgold butter in particular. Finally I came across one I love it haha. Oh I would love a butter bell. I’m manifesting! Great post! I now live in the UK where everything is so expensive! Lucky for me they have amazing charity shops here, that people donate regularly to. I buy most of our clothes, books, DVDs and homewares. I then donate back what we out grow or don’t require anymore. I love the resourcefulness if this way of shopping, and it teaches my kids about value and need, as opposed to frivolous spending and wanting. Lots of people I know turn up their noses when I mention I do this (I don’t care!) and I thank my lucky stars I had an amazing grandmother who lived through the depression era and taught me how appreciate what you have and above all being a clever shopper?